Flying to new heights and attaining salvation – may appear like two difficult things, if you are working in small budget. This thought may turn into nightmare if you feel efforts put in are insufficient to keep people hooked. 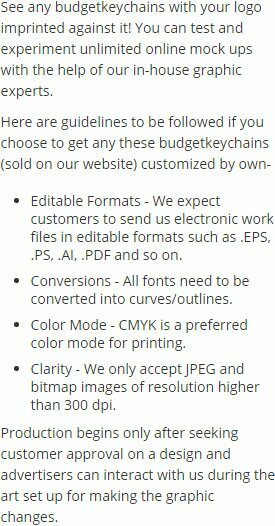 You can easily take a flight to popularity by availing this custom eagle shape bottle opener animal keychain. It is perfect for promoting party supplies, dance clubs, pubs, grooming center, personality development classes, and many more. It can be gifted as a thanking token or as a individual token during tradeshows. Essence of wildlife. 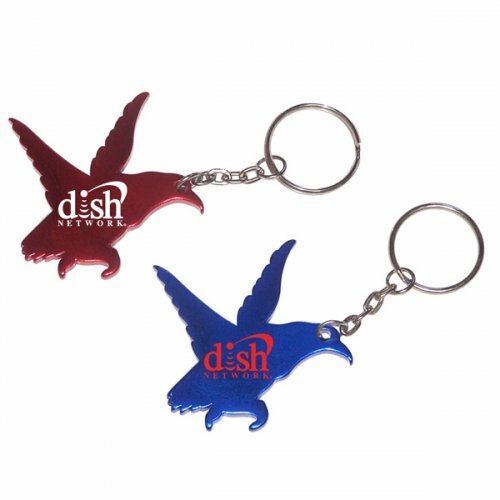 Request a quote to know discounts on wholesale custom eagle shape bottle opener animal keychain. Features – Eagle shape bottle opener keychain in aluminum with metallic color finish. Available Colors - Metallic Black, Metallic Silver, Metallic Blue, Metallic Red, Metallic Gold, and Metallic Green. Imprint Method – Laser Engraving, Full Color Process, and Printed. Product Size : 2 3/4" x 1"